Find the perfect Nissan that fits you and your budget! Buy smart, own confidence. Only Nissans that meet our high standards qualify for Certified Pre-Owned status. A New Nissan is Always the Perfect Fit for Uniontown Drivers – Find Great Deals and Friendly Service Close to Home! 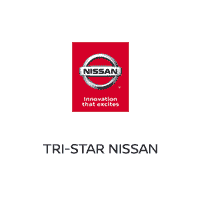 Whether you’re looking for something sleek and stylish, something capable and solid, or just something practical and affordable, the team at Tri-Star Nissan can help you find that perfect match. Browse new and used inventory online, see great deals on new cars and SUVs, shop used trucks, and take advantage of expert services right on site. It’s the best way to find everything you need for automotive in Maple Glen, Connellsville, and Morgantown, WV, at a state-of-the-art facility. If you place great value on safety, dependability, and comfort, then we have the perfect new 2018-2019 Nissan model for you! Don’t hesitate to stop by our Uniontown dealership to get behind the wheel of a new Rogue, Altima, Sentra, Titan or Frontier. Our team of Nissan experts will detail each vehicle’s best qualities, advanced safety options, and innovative features before handing you the keys for a test drive! We’re well aware not everyone is looking for a new car out there, and if you’re one of those people, we also have the solution for you, too! If you’re being budget-minded or simply desire a certain ride and don’t mind it having some miles on it, at Tri-Star Nissan, you’re going to find many high-quality used car. There’s a selection of many used Nissan vehicles, which we carefully curate to make sure you get reliable and efficient transport, as well as an affordable option, so you certainly feel like you’re getting a ride you’re going to love. Once you find the perfect vehicle, you will likely need a low-interest finance rate to drive it home with complete confidence. Fortunately, the team at Tri-Star Nissan is here to help. Our financing team is knowledgeable of the automotive loan and lease process and can help you find and secure a low-interest rate on a new or pre-owned model. To make sure your vehicle stays in tip-top shape throughout your entire ownership experience, the automotive experts in our car service and repair department will always have you covered. From providing you with the latest Nissan parts to making sure your car is maintained for peak performance, they are truly a driver’s best friend. Now, that’s just scratching the surface of all we have to offers drivers around Maple Glen, Connellsville and Morgantown, WV! Don’t just take our word for it, though. Instead, make it a point to visit Tri-Star Nissan in Uniontown to learn more about our plethora of automotive services today!